Anyone who works on tight deadlines or is simply frustrated with Lightroom’s importing speed might want to consider using Photo Mechanic. As a professional, you know that getting your photos processed as efficiently as possible is essential to your business. As a photo enthusiast, you’d much rather spend time developing your photos and not spend time waiting for them to import. In this Case Study, we look at using a 2-stage workflow, using Photo Mechanic with Lightroom Classic CC. Photo Mechanic is used to review photos, make selections and add metadata. Lightroom Classic is used for developing photos and long term, archival storage. Photo Mechanic has been around since the dawn of digital photography but, don’t be surprised if you haven’t heard of it before. While not a niche product, it is largely used by photojournalists, sports and stock photographers. Photo Mechanic 5 is made by Camera Bits and it can be purchased for $150 from their web site–and they do offer a 30-day free trial! Where Lightroom is a massive, fully featured cataloging platform, Photo Mechanic is a lightweight photo browser and metadata editing program. What’s more, Photo Mechanic is super fast for reviewing and tagging. There is no “import” process like Lightroom, so you can get right to reviewing your photos and adding metadata. While Photo Mechanic does have some additional features, like a built in FTP client and an ICC color matching engine, in this case study we are going to look at a basic workflow without using any of the extended features that Photo Mechanic offers. There are a number of other valid ways to setup Photo Mechanic and Lightroom. However, this particular workflow is based on a real world client scenario. This setup was designed for a working photojournalist who operates under tight deadlines. As a Case Study, this is a great starting point to demonstrate how the two programs can work together. Key assumptions: client is shooting 100-300 RAW only images on each assignment; making a selection of 3-8 photos for uploading to the picture editors; adding key info for specific metadata fields; only light cropping and limited tonal adjustments to balance/enhance the scene. Further, client is working on a Macbook Air with limited hard drive space and a small screen. In this case, the simplest process is to copy the image files from the camera card directly to the Pictures folder on the laptop. Using a “YYYY-MM-DD [shoot name]”structure for the folder name helps keep things in order for later archival purposes. Review: Photo Mechanic is built as a file browser so it can be pointed at a target folder and images will preview immediately. Reviewing images is fast, even with large RAW files. Client makes initial selections by giving photos a 1-star rating. In this case, this works as simple, binary pick option for filtering in subsequent processes. Metadata: 1-star photos are filtered and then, using the IPTC Editor, captions, copyright and other key metadata are quickly added to the photos. Metadata is easily copied from one photo to the next and/or saved templates can be applied. Add to Lightroom: At this stage, since photos are already on the hard drive and stored in a properly named folder, all of the photos from the shoot can be quickly imported into Lightroom using the “ADD” button in the Import dialog. This method reads the files from their current location instead of making copies. 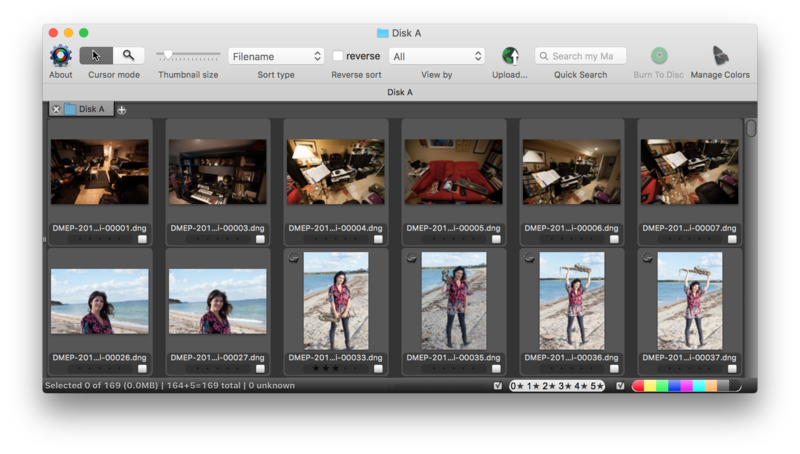 Then Lightroom makes the necessary database entries (copyright, captions, etc.) and generates previews. Developing: the 1-star images are filtered and then, in the Develop module, light cropping and basic tonal adjustments are made. Exporting: the developed 1-star photos are exported as JPGs to a specific folder. All of the “edited” photos for the year are kept, for easy reference and archival purposes. File renaming is done at this point, using a Custom Name text and Sequence tokens, which are part of a saved Export Preset we created specifically to meet client requirements. The exported JPG files are then FTP’ed to the upstream editors using FileZilla, an open source, free FTP client. At a later time, image folders are moved off of the laptop to an external hard drive for archive and backup. This is done in Lightroom so that the main catalog always has previews of past assignments available (in this case Smart Previews were not required). The external drive is then periodically cloned to another drive, using Carbon Copy Cloner. As noted previously, this custom workflow is designed around job requirements and constraints for a specific client. 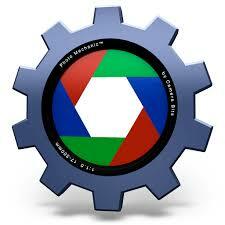 The advantages of using Photo Mechanic are to increase review speed and minimize dependencies on “black box” feature. Image review is fast and only the selected files are post processed, making for an efficient workflow. In an upcoming post, we will include a step-by-step video demonstrating how using Photo Mechanic with Lightroom can speed up your workflow. If you have questions, comments or suggestions please post them below!